Okay, so I know I had the whole Discover December series of blogs to introduce people to fitness alternatives for New Year's resolutions, so what's Zumba doing here in January? What can I say, there are too many options to fit into just December. Plus, there's been a lot of interest and talk about Zumba on Wailani's Facebook page, so I just couldn't resist. And then there's the fact that I happen to know an inspiring Zumba instructor to give you an inside look, in case you haven't tried it yet. Let me tell you a little about Zumba with Stefanie and I'm sure you're going to be just as impressed as I am at her commitment to living healthy. Zumba is not her only activity. 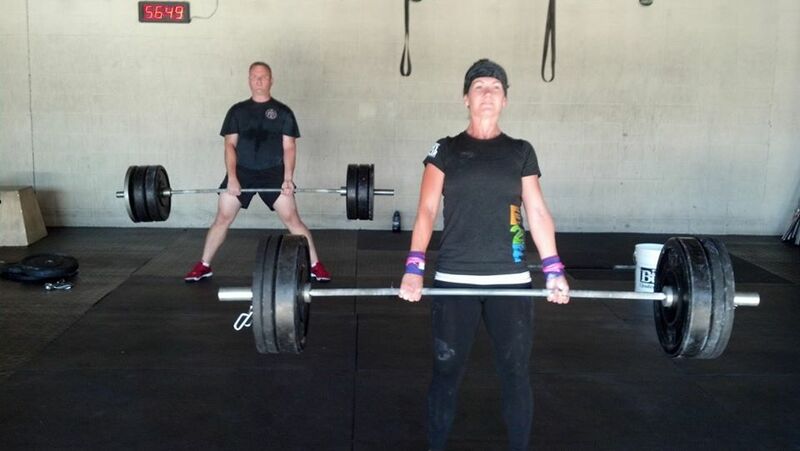 First, she is an excellent mom to three active boys, which she blogs about at My Life with Little Boys...x3, and still manages to squeeze in CrossFit daily with her training partner/husband. 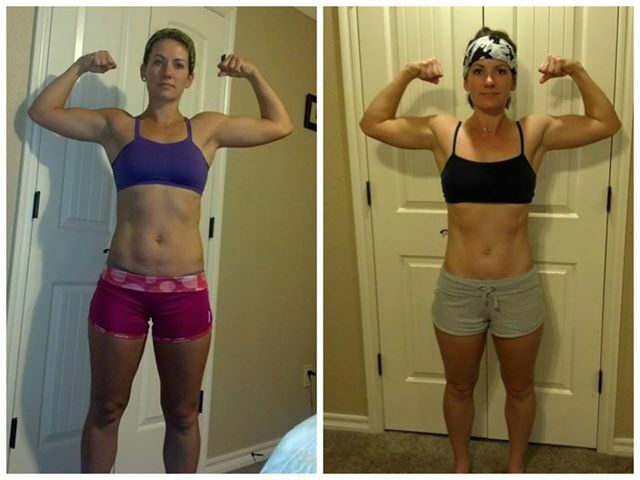 A nurse by training, she knows what it means to be healthy and uses the Eat to Perform plan to support her fitness goals. Best of all is that in addition to her passion for healthy living, Stefanie is kind, warm, and has a great sense of humor. Fun and fitness, what more could you want? So, if you like what you read and you want to check her out, you can find her teaching Zumba with Stefanie at CrossFit Tahlequah/Five Alarm Athletics on Tuesday and Thursday evenings. In 2007 my husband joined the Air Force. We moved our little family all the way from Illinois to the bright lights of Las Vegas, Nevada. Being a small town girl, I was overwhelmed and lonesome, to say the least. Nellis Air Force Base had a large, on base gym that offered lots of different classes and it was all free to military members and their families. When I saw that Zumba was offered on base I decided to give it a try. Not only was the aerobic aspect intriguing but the thought that I might meet some friends got me up and out the door. That was six years ago and I’ve never looked back. I am now a Zumba instructor, teaching twice a week. When I started it was too fast paced and intimidating. The Latin music, the moves, the HIPS…oh, my! I stood carefully hidden away, in the back row for months. However, once I learned to laugh at myself and just keep moving I started to pick it up. Most instructors will tell their new students to give Zumba at least three classes before you give up. Students start to pick up the repetitive moves before they realize it and will start dancing in their cars to the songs when they come on the radio. 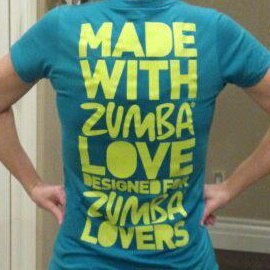 I love Zumba because it’s challenging and fun. It gets my heart rate up and I’m sweating after the first two songs. Women can step it up and do advanced moves or take it down a notch or two and do low impact. It really is an exercise for anyone. Not only did I fall in love with the high calorie burn, upwards of 800 calories per hour, and the dancing but I also fell in love with the people. Women of all ages, body types, athletic and dancing skills come to Zumba. Everyone is upbeat and excited to be there. It’s as if dancing and laughing with friends relieves stress or something…whod’ve thunk?! I never missed a class, much to my husband’s dismay, even when I moved back to the Midwest. The classes available in my new little hometown started at 8pm. It was a struggle to get my boys fed and into bed before leaving but I made my health a priority and went to class three days a week. Sometimes it was hard to talk myself into going but I never regretted it once it was over. I would recommend Zumba to anyone. Women and men love it alike. In fact, a man, Beto Perez, is the founder and creator of Zumba! Doing what you love and in turn, getting and/or staying healthy is the dream! Just remember to laugh when you go or you’ll be the only sourpuss in the back row.